Interior Minister Ch. Nisar Ali Khan was informed at a high level meeting that "almost 70 INGOs have been granted approval under the new INGOs registration policy framework." ISLAMABAD: Pakistan today said it has allowed 70 international NGOs to work and operate in the country under a new revised system of registration. In 2015, Pakistan had asked all international charities to get registered under a new system. Interior Minister Ch. 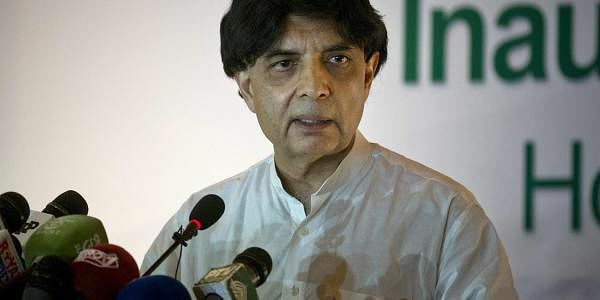 Nisar Ali Khan was informed at a high level meeting that "almost 70 INGOs have been granted approval under the new INGOs registration policy framework." The new system was devised on the directives of Interior Minister Khan. Appreciating landmark achievement, Khan directed Interior Ministry for expeditious completion of pending applications of INGOs, according to an official statement. He also directed for establishment of a robust INGO facilitation cell in the interior ministry with technical support from national data registration authority called NADRA. "We will welcome INGOs to operate freely and independently in Pakistan, let me also make it very clear that now there would absolutely be no margin or space for any INGO to misuse its permission. We would not allow anyone to work against our national security interests under the facade of INGO," he told the meeting. Pakistan's tiff with the INGOs started in 2011 after it surfaced that CIA used the services of local NGOs to hire Dr Shakil Afridi to get blood samples of Osama bin Laden through a fake vaccination drive. Afridi was later arrested and sentenced to jail.